Heritage Wellness Centre began in 2009 when Dr. Stelting opened the current location in historic Murrayville. Prior to that, Dr. Stelting had a clinic in Surrey, and North Langley. Here at Heritage Wellness we understand that finding the right practitioner that will take the time to understand your concerns and ensure your treatment plan is right for you is of the utmost importance. Dr. Stelting decided to become a chiropractor at the age of 16 after his family chiropractor diagnosed a broken neck in his brother when the local hospital had missed it. To that end, he completed all the pre-med classes at Douglas College in New Westminster, and then moved to Bloomington, Minnesota. There, at Northwestern Chiropractic College, he completed his four year degree in just over three years by condensing his studies. Dr. Stelting is also active in the community. He has volunteered and participated in the Relay for Life event for many years, helping raise funds for the Canadian Cancer Society. He is also active in sports, and can be seen participating in basketball, golf and running. Jennifer has recently joined the team here at Heritage Wellness. 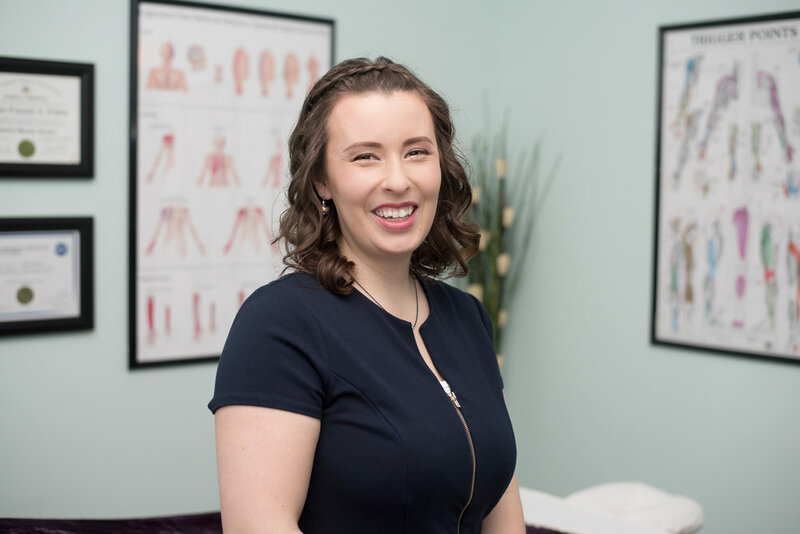 Jennifer graduated from the Vancouver Massage Therapy School, a BC accredited School of Massage Therapy in 2009 with over 3,000 hours of training and education. Jennifer uses a variety of therapeutic techniques mixed with soothing Swedish relaxation in most treatments. She finds this combination is the most beneficial to healing. Not only does it provide a focus to the areas of concern using techniques specific to addressing the complaints, it also provides the body and tissue with a way to rest and adjust to the changes that are taking place. As a society that usually lives in overdrive, our sympathetic nervous systems (fight or flight) rarely give way to our parasympathetic nervous system (rest and digest), a system which is key to staying healthy. So by helping guide your body's tissue in the right direction, and allowing the"rest and digest" to come forth, it is her goal to help bring some equilibrium back to the patients life. Tessa helps keeps everything running smoothly in the office. She is currently pursuing an interior design diploma from BCIT.